michelin launches in hong kong with controversy - but...of course! somehow, i would not be surprised that the michelin people were expecting controversy with the launch of their new hong kong & macau restaurants guide. that some people are not happy and/or disagree with their ranking seems to be "business as usual" for them and i can only guess that they were well prepared with talking points and statistics well ahead of the press conference. what disappoints me however, is the lame reactions of some publicity-seeking food critics and other food-related people in hong kong. not one comment i read showed any kind of pride and/or even satisfaction that there would even be a michelin guide dedicated to hong kong. instead, we hear the same old cliché comments that "westerners (french inspectors) can not possibly understand chinese food, therefore the guide must be of no value". dismissing the guide as irrelevant and simply being a "dialogue between idiots" is pushing it. this, from the very same people who each day, no doubt, drink bordeaux and/or other french wines and will go on and on "authoritatively" about the fact that this wine is poor but that one is "definitely superior". as they are not french, how can they possibly understand how to evaluate the quality of french wines? unless they are relying on robert parker, an american, to tell them what to drink? now, can someone please explain to me what is so mysterious about chinese cuisine so that i can understand why a food critic who is not chinese could not know the difference between something that is cooked properly and something that is not cooked properly? or that the texture for the particular ingredient is or is not what it could/should be? or that the food eaten today is not consistent with the food eaten yesterday and/or last week? what makes chinese food so special that a food lover who is not chinese could not possibly appreciate the cuisine in all of its glory? this is a pity. because i have always thought hong kong should be an accessible and sought after food destination of the world because of it's diversity and because of the passion hong kong people have for food. with this kind of condescending attitude, i am not sure westerners will feel encouraged (or perhaps "able to understand") to explore the foods of china and the many wonders it offers. 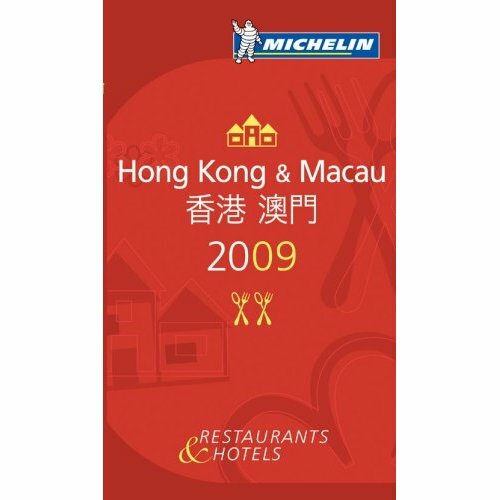 the fact that high profile and internationally respected michelin finally launches a guide in hong kong should be celebrated as a first step in the right direction to firmly establish hong kong as a gastronomic hub, not just a shallow, cynical and commercially-driven wine hub but a proper food & wine lovers destination worthy of a true "world city". hong kong deserves to be a gastronomic hub and those cliché hong kong food critic would do well to take this as signal that it is time to grow up and for hong kong restaurateurs to become serious about the business of restaurants and give us consistent, well cooked, and well prepared food using quality ingredients, and to be creative and wholesome in their approach. no, now is not the time for moaning about westerners evaluating hong kong's food, it is time to celebrate the first step in this journey of a thousand miles: triple cheers to lung king heen at the four season and double cheers to bo innovation in wanchai who will lead the way to make hong kong the gastronomic hub it deserves to be!